Misha qualifies for regional Spelling Bee! Misha qualifies for Bay Area Spelling Bee! 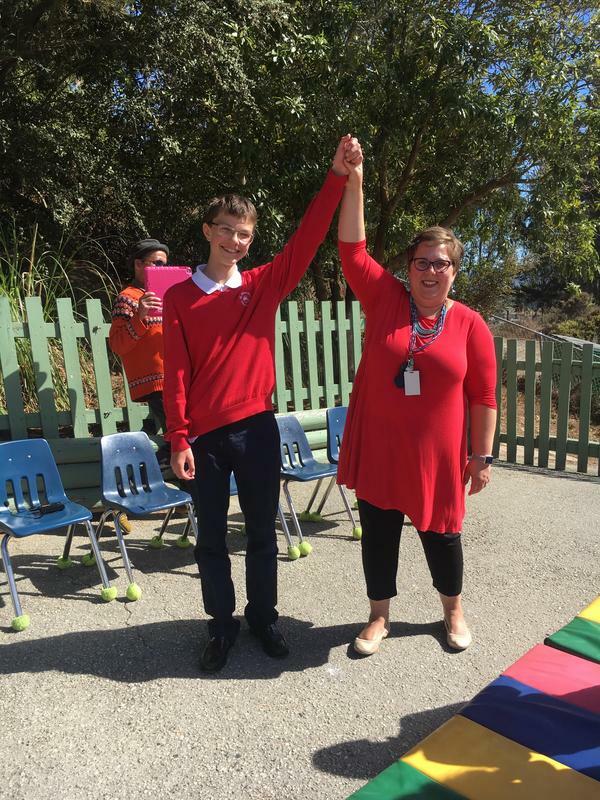 Congratulations to Misha (Grade 8) who was not only our Spelling Bee champion, but who passed the qualifying exam for the regional Spelling Bee! Misha will compete with schools throughout the Bay Area at the Amador Theater in Pleasanton, CA on February 17th! This bee has spelling and vocabulary segments, and the winner has to pass it at both levels! The winner of the regional bee moves straight onto the national championship in Maryland at the end of May where a college scholarship is on the line. We're rooting for you, Misha, Super Speller!